STATEWIDE - We welcome Lt. 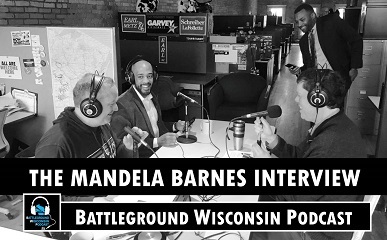 Governor Mandela Barnes to discuss his first couple of months in the office and the his vision for creating opportunity in Wisconsin over the next few years. In our third installment of Sarah “what the Godlewski does the state treasurer do?” We review her effort to help UW system graduates refinance their student loan debt and GOP State Rep. Michael Schraa failing to honor his promise to sponsor legislation to put some authority and power back into the state treasurer's office. We talk about Congressman Mark Pocan’s threat to sue ICE for records related to Wisconsin arrests last year; GOP Legislative leaders plan to intervene in Planned Parenthood case challenging abortion laws; Wisconsin is now the top 2020 battleground state; and State Sen. Dale Kooyenga says he will consider supporting accepting the federal money to expand BadgerCare.